But sporting disappointment isn't the only thing Gorka has had to endure. In late October 2008, with Real in the second division, in a home derby against Deportivo Alavés, Elustondo suffered a serious knee injury (which later relapsed), being rendered unavailable for the remainder of the campaign. Nevertheless, he would bounce back the following season - contributing with 30 games and one goal in the 2009-10 campaign, helping the Txuriurdin return to the Spanish top flight after three years, as champions. Over the course of his career, he has often been asked to not protect the defense but be the defense. And for two top-flight seasons, between 2010 and 2012, he became that person, often playing as a substitute and occasionally filling in the gap. However, it was in the latter half of the 2012-13 campaign, under Philippe Montanier, when he established himself as a central defender (he had missed the first half due to a plantar fasciitis in his left foot), partly due to Asier Illarramendi and to a lesser extent Rubén Pardo covering the midfield positions, partly due to central defender Mikel González, Íñigo Martínez and Ion Ansotegi being either suspended or injured frequently, and partly due to Liassine Cadamuro-Bentaïba focusing on his Algerian national team duties. But mostly because when Gorka was risked being played in central defense, it didn't look like a risk at all. He would remain a substitute during the 2013-14 campaign under Jagoba Arrasate, and even started with Íñigo in the 2014-15 season. 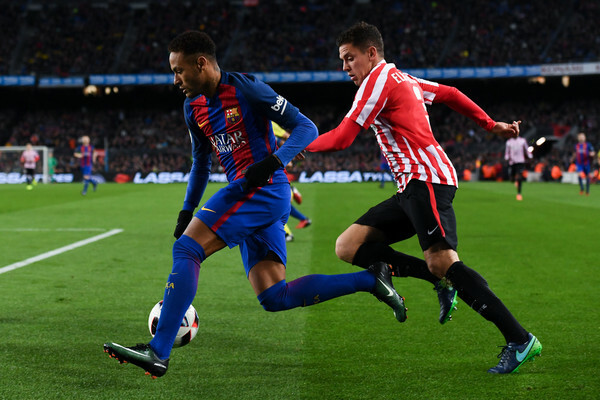 However, Arrasate's dismissal, and David Moyes' Ansotegi, relegated him back to the bench, and led to Athletic Bilbao signing him in 2015 on a two-year deal, with a 30 million euro release clause. Back in the day when 30 million euros meant something significant, that is. Those days are long gone. Under Ernesto Valverde, Gorka continued to be used as a central defender and midfielder, and was used more a rotation option, especially in Europe - he clocked 10 appearances in Europe compared to 11 in the league in his first season. And during the 2016-17 campaign he was used even less in the league, with just six appearances across all competitions. However, in the last of those appearances, due to the absence of Yeray Álvarez, Eneko Bóveda, Óscar de Marcos and Iñigo Lekue, against Barcelona, at the Camp Nou, Gorka was deployed as a right-back. And he grabbed an assist, latching on a loose ball, racing down the right, and crossing the ball for Enric Saborit to score. Nevertheless, the lack of appearances led him to leave at the end of his contract, and take up an offer with Spanish coach Juan Manuel Lillo at Colombian club Atlético Nacional. Lillo actually managed Sociedad during the 2008-09 campaign, during which Gorka's starting spot had been cruelly taken due to injury - and so this looked like a promising move in theory. However, just eight games led him to cancel his contract, and return to Spain. He is now at Rayo on an 18-month deal in the second division, hoping to rejuvenate a career that has shown that, given the chance, he can shine. Rayo's long season might just give him that chance.